Last year a photo of a dead three-year-old boy was widely circulated in the media. The boy was Alan Kurdi, who drowned as his family tried to cross the Mediterranean Sea by boat from Turkey. His death caused a worldwide outcry. People could see, from the comfort of their homes, the lengths to which a family will go to try and escape war, and the result of European migration policy. I remember seeing the pictures of this little boy and being horrified, along with the rest of the world. I have two beautiful nieces and I tried picturing them in one of these flimsy, unsafe boats. 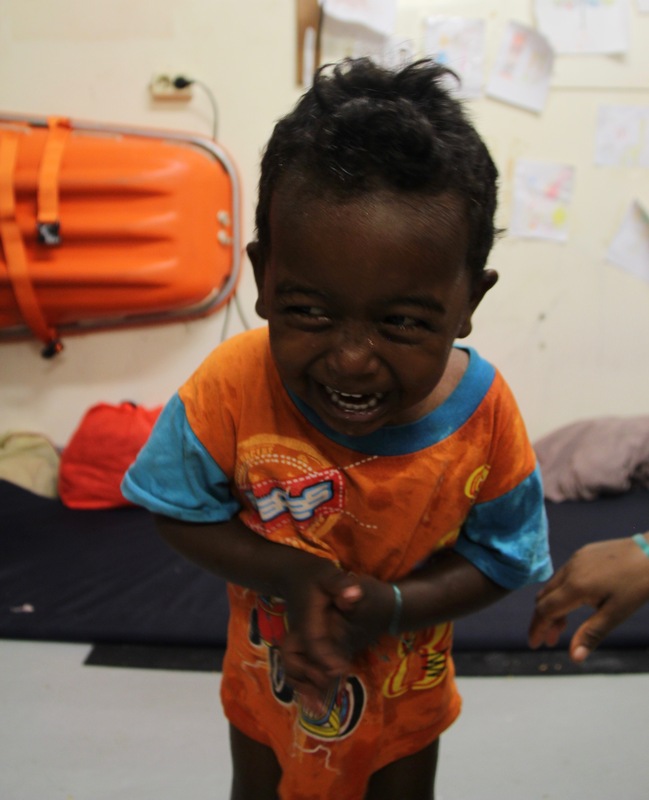 I tried to picture a situation in which my brother would put his two kids in such peril; to be loaded onto a dinghy with no life jackets, in the deep waters of a sea where thousands have died in the last several months alone. This heart-breaking concept is a reality that I hear echoed time and time again from our passengers aboard the Dignity 1. 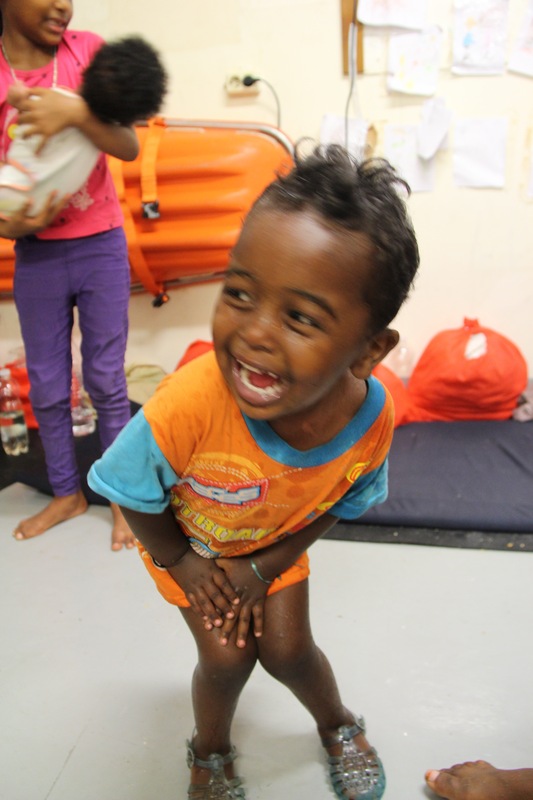 Three days ago - on a day with an exceptionally high number of boats and refugees needing rescue at sea - there were more young children present than I have seen since I started this assignment. 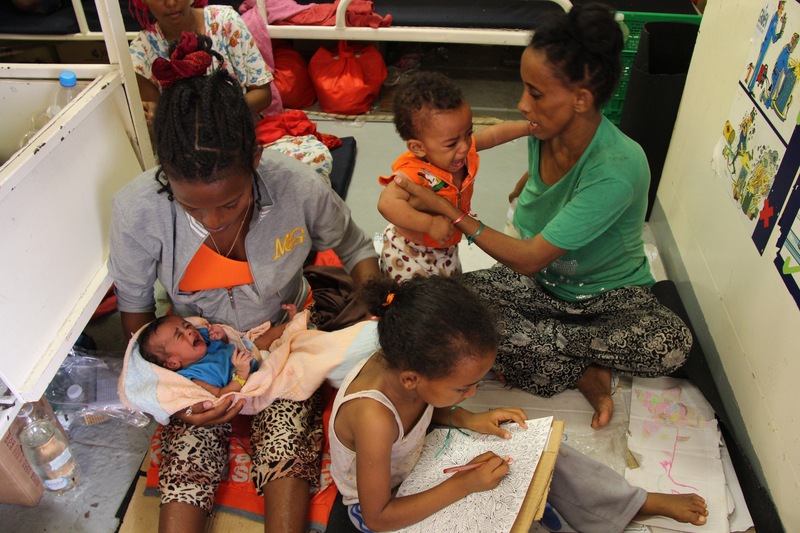 Among these children were a pair of five-day-old premature twin boys. 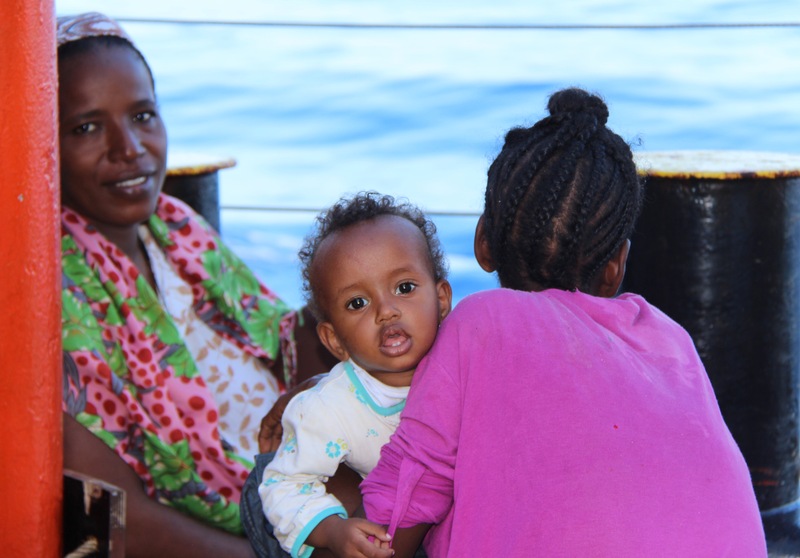 When I saw a woman board the ship cradling two tiny, blanket-wrapped packages in her arms, I was immediately on alert. 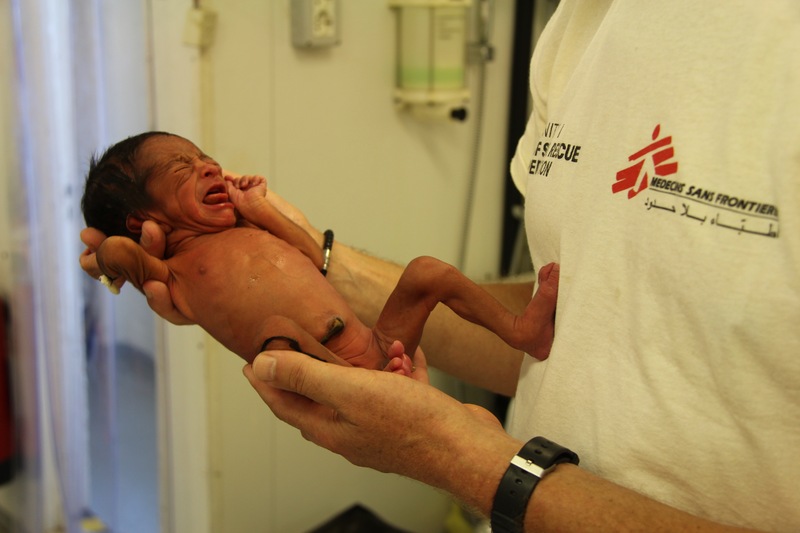 I had a quick and unwelcome memory of similar scenes from my time with MSF in the Congo, where we often received babies when it was already too late to help them. 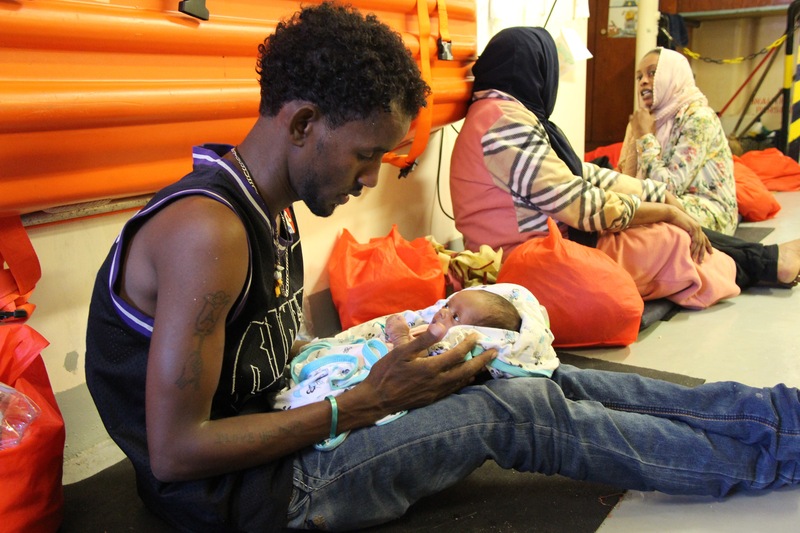 I was hoping that was not the case with these two, but knew the boat voyage from Libya - which is dangerous for all, is even riskier for infant passengers. I was relieved beyond words when she uncovered the first little boy. His skin was warm, his colour, tone, and respiration status normal, but I was shocked at how young he was. When I saw the second baby I noticed that he was even smaller and frailer, and was in worse condition than his brother. Upon assessment this baby was lethargic, cool to the touch and developed periods of apnoea (periods during which breathing is suspended). 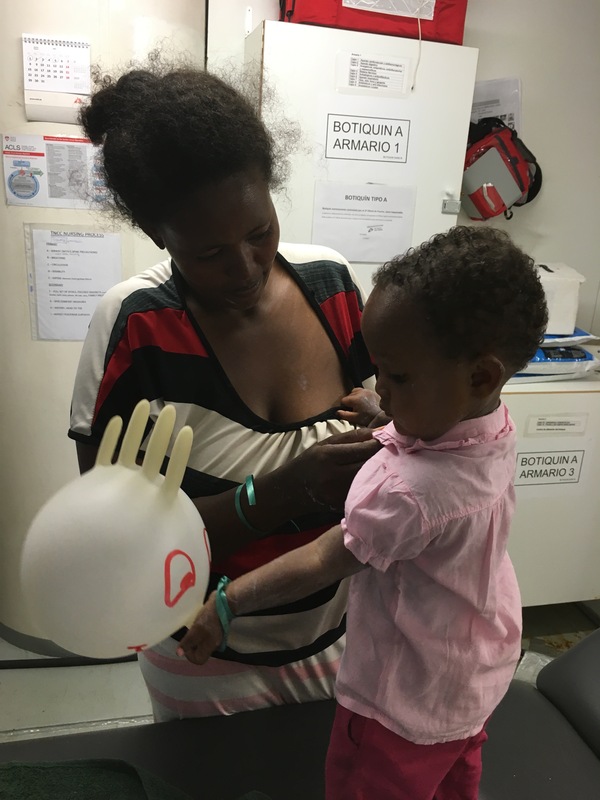 After we warmed the baby by placing him skin to skin with his mom, his condition improved. However he then became too warm - his body was not regulating his temperature properly. His fontanelle (the soft spot on the top of a baby's head) was depressed, showing us he was dehydrated, yet he was not interested in feeding. A situation like this is precarious even in a fully equipped hospital. 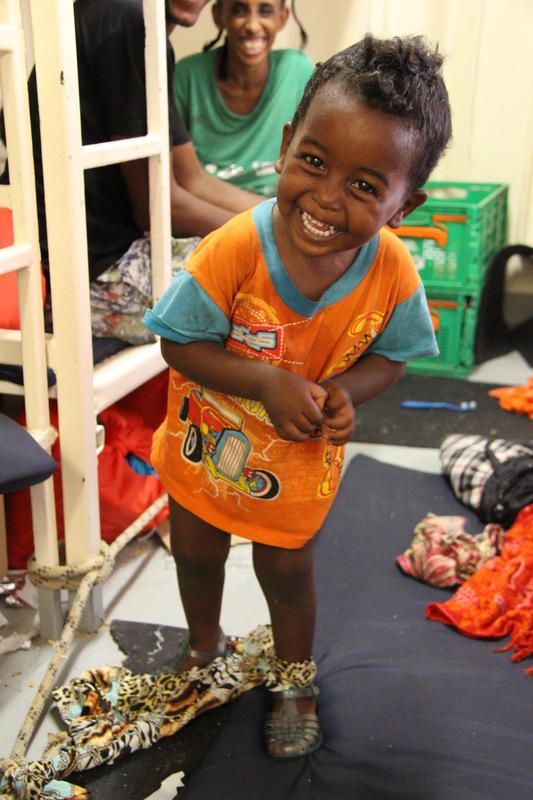 It requires far more care than we could give him on-board our ship throughout the two days it would take to travel to Italy. We stabilised the infant and hoped we would be able to get him to a hospital in time. Luckily, the team was able to arrange a medical evacuation quickly and we were able to transfer him to a higher level of care within the hour. To be born a twin and premature is risky anywhere in the world; to be born a premature twin lacking any access to medical treatment in a developing country is often a death sentence. I have no question that it would have resulted in death for this little fella if we had not been able to get him to a hospital quickly. With our two youngest passengers safely in hospital and our boat at maximum capacity, we continued to Italy and finally disembarked all our 435 passengers safely late last night. As a nurse, it can be difficult to fully appreciate the greater significance or emotion of a situation while in the midst of actually treating patients (especially when you have over 400 of them!). When you are so busy, sometimes the emotion only hits you afterwards. Now the sun is setting and our boat is empty and peaceful; the adrenaline is passing and the exhaustion is sinking in. I finally have time to process some of the experiences from this rescue. 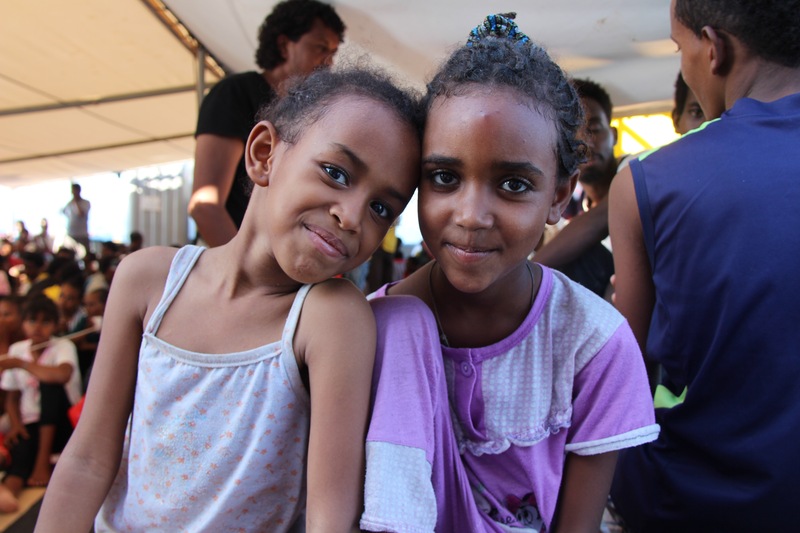 I was brought to tears while listening to my field coordinator discuss the story of these twins with a Canadian media outlet. The precarious situation of this little boy and the desperate situation of his mom giving birth unaided, while essentially imprisoned in Libya hurts my heart. 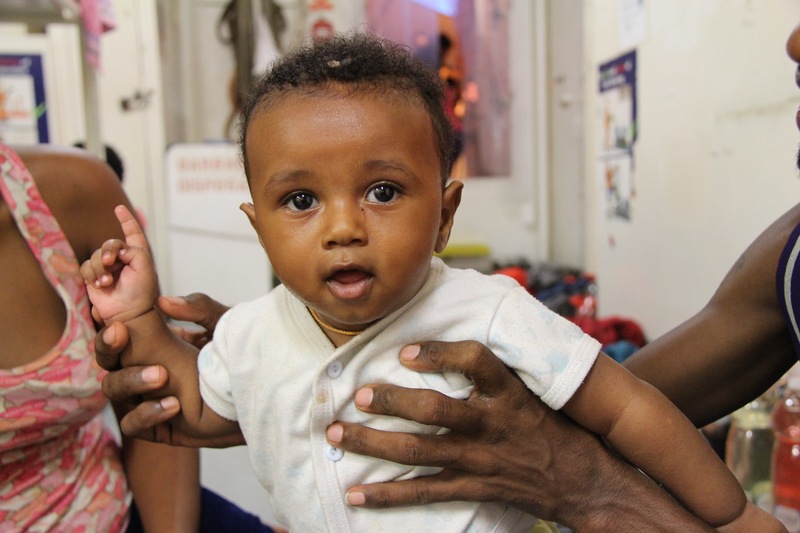 I am so happy we were able to give this baby and so many other infants and children a safe and dignified passage to Italy. These kids make every moment of a sometimes difficult and taxing job so, so worth it. While the twins are a very special (and happy) story and have become little celebrities, we had many children on-board with us over those three crazy days that the media will never see. Each one has their own little, unique personality, and they skip, bounce, play, and get into mischief just like any kid in the world would. (Please note, all photos and information shared is done so with the expressed consent of the parents present, however I have taken the precaution of changing names and certain details). Favourite activity: Learning English- she is very proud she can write the whole alphabet! Journey: She was traveling with her father and 16 year old sister and the girls ended up getting put on different boats for the trip. The papa was rightfully very worried that they were not with him, but happily (and miraculously given the chaos of the day) we were able to locate the girls on a different rescue boat and reunite them with their very relieved dad before we left the rescue area. Seeing his face light up and practically jump up and down when they finally boarded our boat was a special moment. What she is looking forward to most in Europe: Changing into fresh clothes. She wants to go shopping! Likes: Drinking milk, sleeping, and sucking on her hand. Journey: Little Eben is traveling with her proud papa. 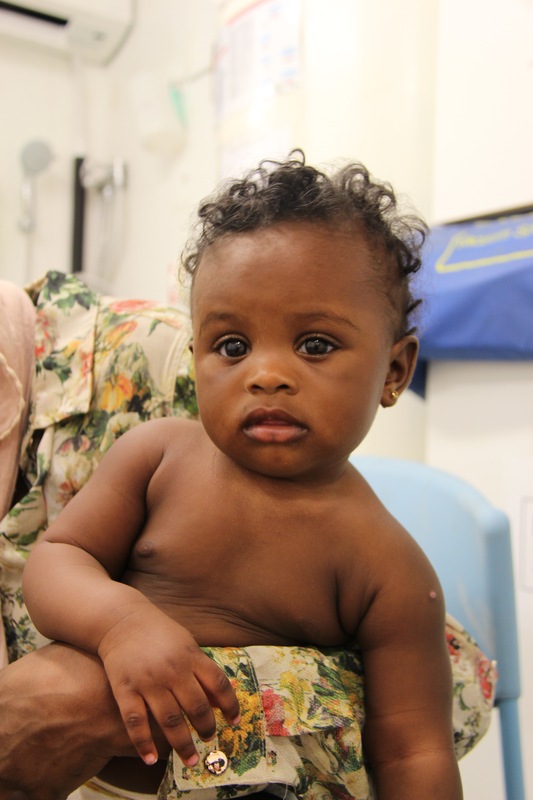 Her mother gave birth to her while held captive in Libya and received no medical attention in spite of being in poor condition after birth. She sadly passed away when Eben was one month old and another woman has been breastfeeding the baby in her place. This little firecracker needs a paragraph. He began busily exploring the family area in the ship the moment he arrived and did not stop till he fell asleep on dad's shoulders while disembarking on the final evening. He likes to giggle and make funny faces at people. He likes to run and jump and LOVES having his picture taken. It makes him squeal with joy to see his photo. He was so active, in fact that when I was bringing diapers into the family waiting area yesterday and didn’t see him racing around, trying to find an escape route, or up to any other mischief, I asked his mama what trick she found to keep him relatively still. She pointed to his leg and giggled. I looked down and saw that she had tethered one of little Micky’s ankles to a rope so he couldn’t run too far. I have to say, I have not laughed that hard in a long time. Mama was very happy she could get a bit of rest without worrying and Micky was still happy as a clam and hamming it up as usual. Please note the lower left hand corner of the photo to see the skirt that is ingeniously serving as the only thing that keeps this boy in one place. And finally our littlest passengers weighing in at less than 1.6 kg each. They don’t have any likes or dislikes yet and won’t pick their favourite colour for another few years yet. They won’t get asked what they want to be when they grow up for a long time, but I hope that when they do they will dream big and have every opportunity to reach their goals. No opportunity for a diaper change for several hours means baby’s bum needs a wash! Dislikes: I’m convinced that as long as he is with his mom, he doesn’t have too many dislikes. In three days of sitting with mom while she helped with translation sin the clinic, I did not see this fella cry once. strong woman and was invaluable to our medical team as she spent three long days with us translating for patients we had no way of communicating with. For the majority of these days, Isaac sat in her lap and jumped and cooed- they were pleasures to have aboard. 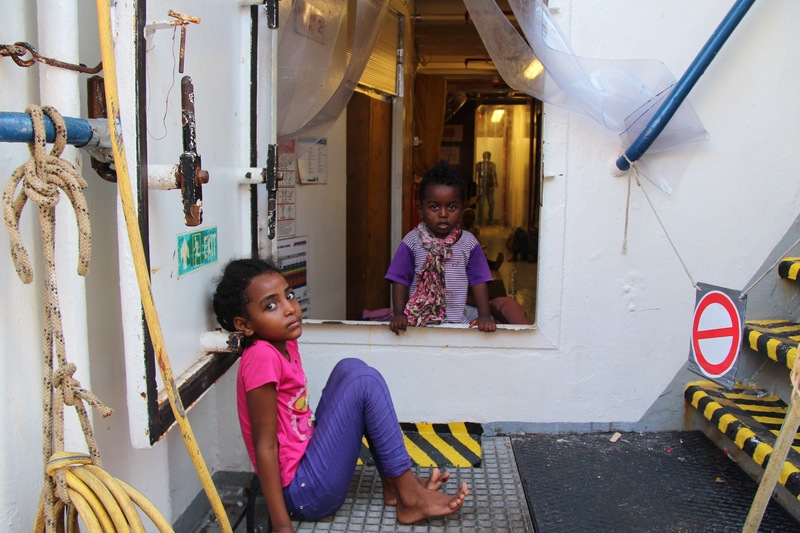 Even though this is probably the only MSF project to ever have air conditioning in one of its facilities, it is no match for the heat of the Mediterranean and it can be especially hot for the kids. These moms are stepping outside on the deck for some air. 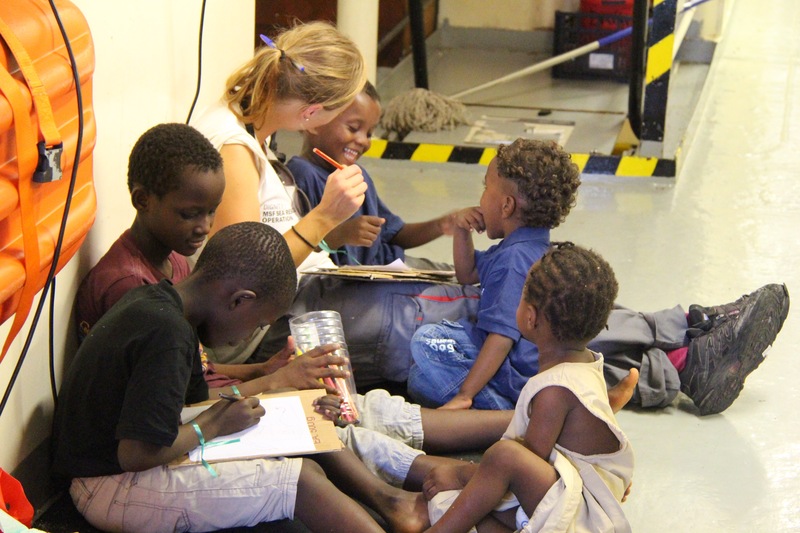 When the sailors on board have a little extra time, they like to make toys for the kiddies with whatever we have available. A glove balloon is always a hit! My colleague Antonia making what looks like a very funny joke with her new pal. This was on a previous rescue, but was such a nice moment I wanted to include it. As you can see, Micky is about to make a break for it and Nouriah is keeping watch! If there is one thing about kids that is universal, it’s the love of colouring and that meltdowns will happen… The family room is filled with babies with strong lungs! And just because I can’t decide which of these infectious smiles makes my heart happier, I’ll post both. I hope they make you smile as well!